Travel Permission: US Club teams or US Youth Soccer teams within Region 1 do not need permission to travel papers. Each team must fill out a Team Profile Form, which will be included in a binder for college coaches. This is an online form that can be accessed by logging into your Mad Dog Mania account. You are able to make changes to the information that you provide on this form up until June 7th, 2019. Filling out this profile form is mandatory for your participation and must be completed by June 7th, 2019. Please note that this form does not take the place of your league approved roster which is required at the tournament check-in. Teams have the option of displaying their own team and player profiles at the tournament. If your team choses to do this, please bring the profiles to the tournament registration tent at check-in. The Tournament has a "Stay to Play" policy. All out-of-area teams are required to reserve their housing through our official Tournament Housing Coordinator, Halpern Travel. If your team does not reserve housing through Halpern Travel, it will forfeit the team's eligibility to participate. Please go to www.HalpernTravel.com for details and to make your team's reservations. Please encourage your players to contact coaches on their own. This is a very important step in the college recruitment process. Prior contact from players not only helps to ensure that coaches will attend this tournament, but it also increases the likelihood that a coach will view one of your team's games during the event. For details on how to contact college coaches and what information coaches are looking for, please have your players refer to the Getting Recruited section of our website. We have partnered with nextpro, a top resource for game film and highlight reels, bringing exceptional quality and innovation to the market. Game film and highlight reels can provide players with a significant advantage in the recruitment process. 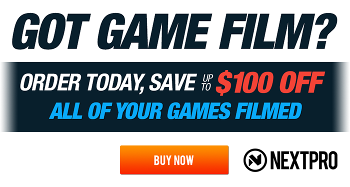 Nextpro offers unlimited, high quality game film and highlight reels for the same price that most competitors charge for one event or just one game. Your game film and highlight reels package is a great investment if you want to document your athlete's accomplishments as well as provide a valuable introduction to college coaches. For more information go to nextpro. Schedules will be posted on this website, approximately one week prior to the tournament date.